Conservatives seized Thursday on newly published sections of a 32-year-old economics thesis written by Democratic Congressional candidate Lisa Brown, recalling similar accusations of leftist sympathies used against Brown earlier in her political career. Republicans quickly moved to tie Brown to economic theories they said were wrong for the people of Eastern Washington. Brown is seeking to unseat incumbent Rep. Cathy McMorris Rodgers in Eastern Washington’s 5th Congressional District. National Republicans quickly reacted Thursday to publication of the thesis by the Washington Examiner, a conservative-leaning newsweekly based in the nation’s capital. “Liberal Lisa Brown sounds like she’d be a better fit running for office in Venezuela instead of Eastern Washington,” said Jack Pandol, a spokesman for the National Republican Congressional Committee based in the nation’s capital. Excerpts of the thesis, which were highlighted by the Examiner, quoted Brown’s words from 1986 praising Elizabeth Gurley Flynn, a leftist labor activist and later a Communist Party leader with deep ties to workers’ movements in Spokane. Flynn cut her political teeth advocating on behalf of the Industrial Workers of the World, also known as “the Wobblies,” in Spokane in the early 20th century, taking part in a protest against a city law that banned public speeches downtown. Through a spokeswoman Thursday afternoon, Brown released a direct statement referencing her support for feminist thinkers that did not specifically mention Flynn. “Do I find women who got engaged in the issues of our time inspiring? The answer is yes – from Joan of Arc, to Amelia Earhart to Aretha Franklin – I’m motivated by women who stood up, spoke out, and got involved during some of the most critical moments in history,” Brown said in a statement. Tracy Mott, a professor at the University of Denver who was Brown’s faculty adviser, said he believed the accolades were inspired by their public stature, not just their beliefs. “As for being inspired by women who are considered ‘radical’ thinkers, I believe that was due to these women having been outspoken advocates of women’s rights,” Mott wrote in an email. Tom Karier was a colleague of Brown’s at Eastern Washington University in the early 1980s and is listed in the acknowledgments of a shorter version of her thesis that was published in a 1984 installment of the Eastern Economic Journal. He has also donated to Brown’s campaign, according to FEC filings. “Theses are pretty abstract, and they could easily be misinterpreted,” Karier said. The Examiner also included a quote about the beliefs of feminists about marriage. Brown identifies herself as one in the opening paragraphs of her work. Brown does not identify herself as an adherent of this analysis. The statement occurs in the text during a portion of the paper dealing with historical developments of feminist theory. The conclusion of her thesis argues that feminist thought could benefit traditional economic theory, but does not explicitly state her position on marriage or a woman’s role in the economy at the time. Keeley Smith, communications director for the Brown campaign, said Thursday that Brown was traveling to Walla Walla and was not available for comment on the article. A campaign event was postponed at Whitman College before the article published. It will be rescheduled at a later date. 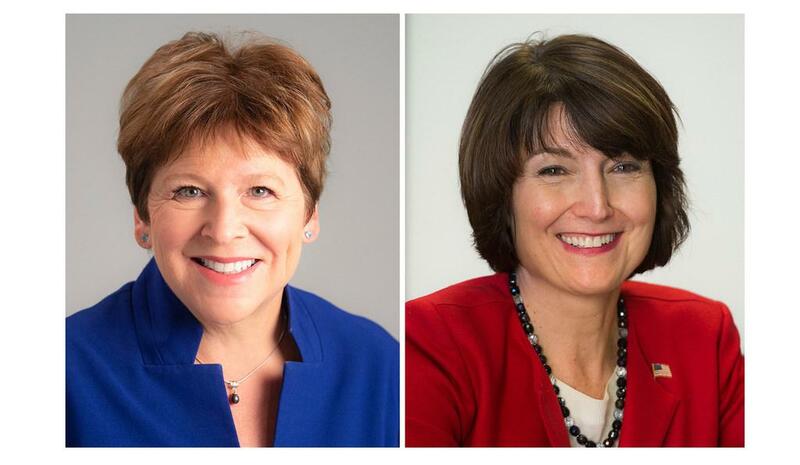 Smith referenced other McMorris Rodgers campaign ads that had omitted details about Brown’s voting record and said the thesis was distracting from the main issues of the campaign, including health care, as well as the turmoil in Washington, D.C.
“When you’ve got a president under investigation for possible collusion with Russia, and Congress won’t stand up to him or the administration, it’s interesting that these things would be insinuated against Lisa,” Smith said. Though some national Democrats have risen to prominence this year and won primary contests by embracing leftist politics, most notably Alexandria Ocasio-Cortez in New York, Brown has not followed that pattern. In a recent TV ad, Brown attacked the Republican tax reforms and latest budget proposal that seeks to make changes to Social Security and Medicare, two basic pillars of social welfare in the United States. McMorris Rodgers said at a town hall last month the GOP had no plans to cut Social Security or Medicare. The congresswoman, who has already released ads depicting Brown as a tax-and-spend liberal, did not mention her opponent by name in a statement on the Examiner story. Instead, she condemned the political and economic theories discussed in the document. The latest salvo against Brown bears the hallmarks of attacks she received in 1993 and 1996 as a candidate for state offices. Republicans accused Brown, who had visited Nicaragua in the early 1990s as a teacher, of harboring sympathies for the ruling socialist party in the country. Brown pushed back, saying she was there to teach free-market theory and learn from local residents. Brown won each of those campaigns, including a victory over incumbent Republican state Sen. John Moyer in 1996. Tom Trulove, Brown’s former boss at Eastern Washington University as chair of the economics department, defended his former employee on Thursday. Brown served as a professor of economics at Eastern Washington University in the 1980s and during her time in the state Legislature, before moving on to a position at Gonzaga University and later chancellor of WSU-Spokane. Trulove has given $300 to the Brown campaign, according to FEC filings. Trulove said he hadn’t read Brown’s full thesis, but read the Examiner piece and that it didn’t match with the educator he knew in his time at Eastern. Published: Sept. 6, 2018, 4:38 p.m. Updated: Sept. 6, 2018, 10:54 p.m.